In the recent past, there has been a rising popularity in crafts done with a cloth, thread and a needle. These crafts have evolved with time. Embroidery is deemed therapeutic and is said to be good for the brain, protecting the brain from pre-mature aging, while also helping ease disorders such as anxiety and depression. It also helps express and improve creativity. While needlework is basically a craft that uses a needle and colored floss or yarn to stitch, there are different styles and ways of doing it. Some of these are cross stitch, embroidery, plastic canvas, and needlepoint, just to name a few. This is a surface embroidery technique, which dates back to the ancient Egyptians, and is worked on very fine canvas. It is mostly done with yarn, but a different look may be achieved by using strands of embroidery floss. It is however stitched by hand, as opposed to being woven on a loom. This method also allows for the use of a variety of stitches over the base canvas layer. It is widely used to decorate accessories such as belts, purses, jewelry and also wall hangings. An important note to consider in needlepoint is that the more holes per square inch, the more time consuming and detailed fabric designs are. -This is either done horizontally or vertically across a fabric and is sturdier. – This is used over large areas and is created in diagonal rows. – This is a tent stitch that is worked horizontally or vertically across the fabric. – This is made of five diagonal stitches whereby the longest stitch is in the middle and is followed by the shorter stitches. – Involves three stitches whereby the longer one is surrounded by two shorter ones. – This is a stitch that involves a slanting diagonal stitch which is worked over two horizontal threads and one vertical thread. – Involves creating a basketweave pattern with shorter parallel stitches. This is a type of embroidery that uses stitches that are x shaped. Materials commonly used are floss, canvas or linen cloth, and is mostly used for creating pictures for framing. – Used for creating small details and outlines. 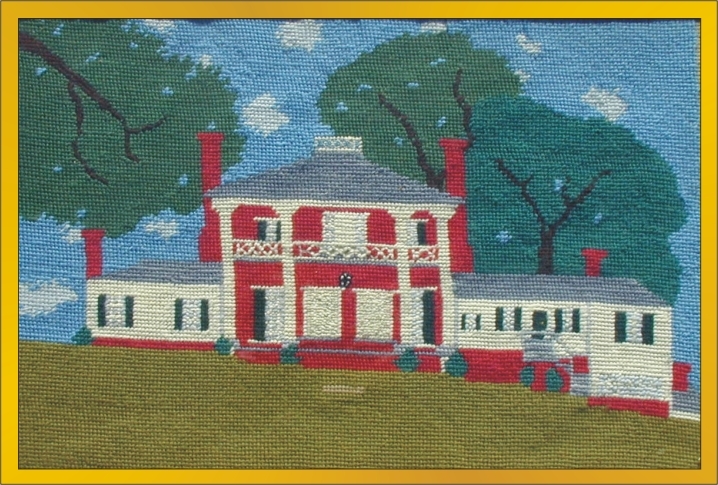 Needlepoint is a surface embroidery technique which is worked on very fine canvas. 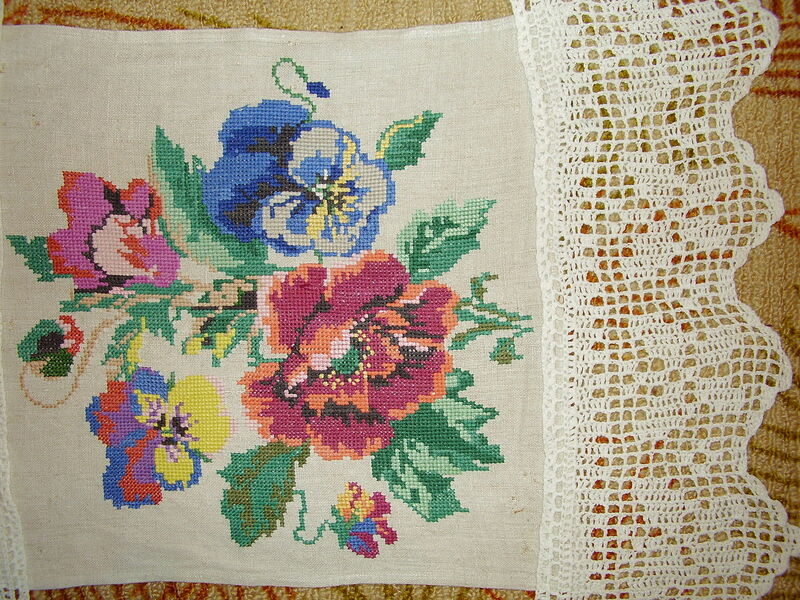 Cross stitch, on the other hand, is a type of embroidery that uses stitches that are x shaped. Needlepoint is done on canvas, which is much stiffer and heavier, and whereby there is more hole than fabric, on the other hand, cross stitch is done on evenly woven fabric. While needlepoint involves the tent stitch, cross stitch involves an intersecting stitch that forms an x.
Needlepoint involves any type of stitch provided that a person is able to count the stitches as they stitch. Cross stitch, on the other hand, involves a few types of stitches. While needlepoint allows for the use of a variety of stitches over the base canvas layer, cross stitch only allows the cross stitch to cover the base canvas. Embroidery has been termed as the perfect way to unwind. Both needlepoint and cross stitch has been used since time immemorial, with cross stitch being the oldest form of embroidery. It is, however, important to note that cross stitching is more appealing for a beginner. However, any of the two methods can be used to create different patterns, depending on a person’s preference. Tabitha Njogu. 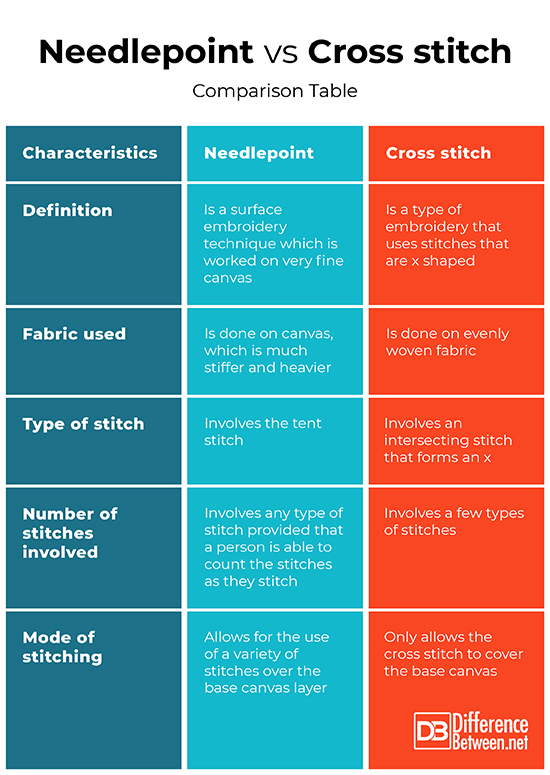 "Difference Between Needlepoint and Cross Stitch." DifferenceBetween.net. January 17, 2019 < http://www.differencebetween.net/miscellaneous/difference-between-needlepoint-and-cross-stitch/ >.